Your business is your livelihood and no matter how many precautions you put into place, the unexpected can happen. To protect yourself financially when things go wrong, you need to have the right commercial insurance in place. When it comes to insuring your business, there are a few things you need to consider so you can be confident all of your areas of risk are covered. Let’s take a look! 1. Have I considered all areas of risk? The most important thing that you must consider with your commercial insurance is the specific risks facing your business. Consider things like your internal and external risks, when and where risks are likely to occur, and who would be affected if something went wrong. Think about previous incidents which have occurred and consider the worst case scenario. For example, what would it mean to the business if the premises were seriously damaged? 2. Which policies should I consider? 3. Do I have the right level of cover? Once you’ve identified your areas of risk, you need to ensure that the insurance package you’ve chosen is sufficient to cover those risks. Look at factors such as your excess and level of cover so you can be confident that you have enough financial protection. If you choose cover which is too low then you can still find yourself seriously out of pocket at claim time. For example, will you be able to afford your excess at claim time or do you need to lower it? To avoid any surprises at claim time, always take the time to make yourself aware of exclusions attached to your policies. Don’t assume that everything will covered! In some cases, the exclusions attached to your policy might not suit the needs of your business and you can then look for other options. 5. Do I need some expert advice? Commercial insurance can be complex, and it’s best to speak with an insurance broker to help ensure you have the best cover possible. As insurance experts, your broker will approach a number of different insurers to find quality cover at a competitive price. They also liaise directly with the insurer on your behalf at claim time – perfect for the busy business owner! If you’re looking for commercial property insurance brokers, as well as help with any other commercial insurance policies, speak to the experts at GSK Insurance Brokers. With decades of combined experience, our brokers have established relationships with trusted insurance providers so you can be confident that your business is protected. 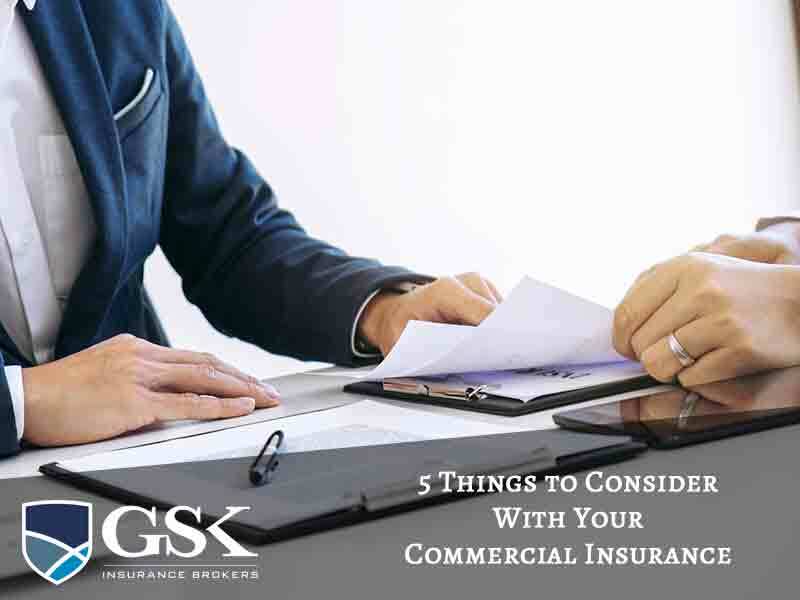 For commercial property insurance, and a range of other policies to help manage your risks, contact GSK Insurance Brokers today on (08) 9478 1933.